Customers no longer play a passive role but are now recognized as collaborative partners in the product development process. Today’s fast paced market and fierce competition demand that product development teams have a good understanding of customer needs. A customer-driven framework therefore emphasizes the central role that customers play in the product design and development process. As companies recognize the need to become more engaged with their customers and look for ways to promote better collaboration across teams, they need the right toolset to better meet shifting marketplace needs. Gunnar Eliasson reiterates this need: “Most of our customers influence the design so that the truck matches their individual requirements, this approach requires time together with customers” and a “method for identifying customer requirements and then transforming them into technical specifications.” Volvo products are truly ‘customer-driven’, no pun intended. New customer-driven technologies provide organizations with the ability to capture customer ideas, elaborate on requirements and pipe them directly into the product development process. OneDesk is business community software made to facilitate product development collaboration. 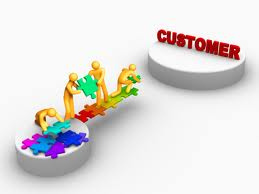 It is the first social business application that connects the customer to the product management process. OneDesk offers built-in social collaboration tools which facilitate customer engagement, such as, discussion forums, blogs, chat, idea voting, and more. With this software, businesses can adopt a more customer-driven approach, and can efficiently communicate with their customers, and get their products to market quickly. Sign up for a free account and try OneDesk today.